What a sacrifice! !I guess its something we have to do once in a while for the cause. Sacrifice? Are you normally vegetarian, or did you really go out and kill the beast yourself... Hee hee.. 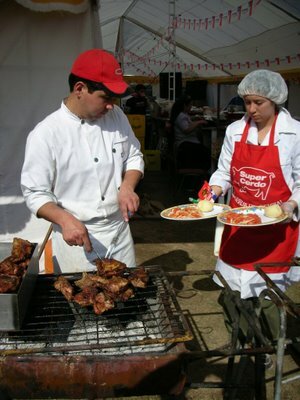 I like the white and red costumes and the insight into what people eat and how they cook it. Just like Meg, I take it you're a vegetarian?